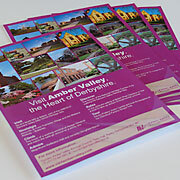 Groups are very welcome in the Amber Valley and we have lots for you to see. Please contact us for group operator information, driver incentives, group rates and coach parking information. If you are looking for accommodation in the area, a number of larger hotels and conference centres can offer lots of bedrooms, private dining space and great rates.